It was not a day for swimming; both too cold and rainy and unsafe water with all the runoff pouring into the ocean from storm drains. But I decided to head out with a poncho, shorts and my ipod filled with podcasts. I had the beach all to myself (one guy was there with his dogs). 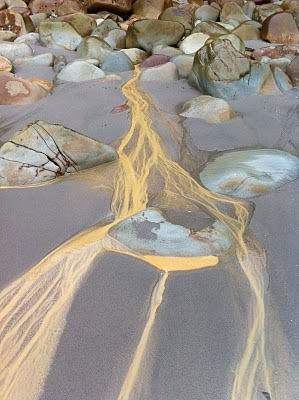 When I walked under the bluffs at Butterfly beach I noticed these patterns above in the sand. 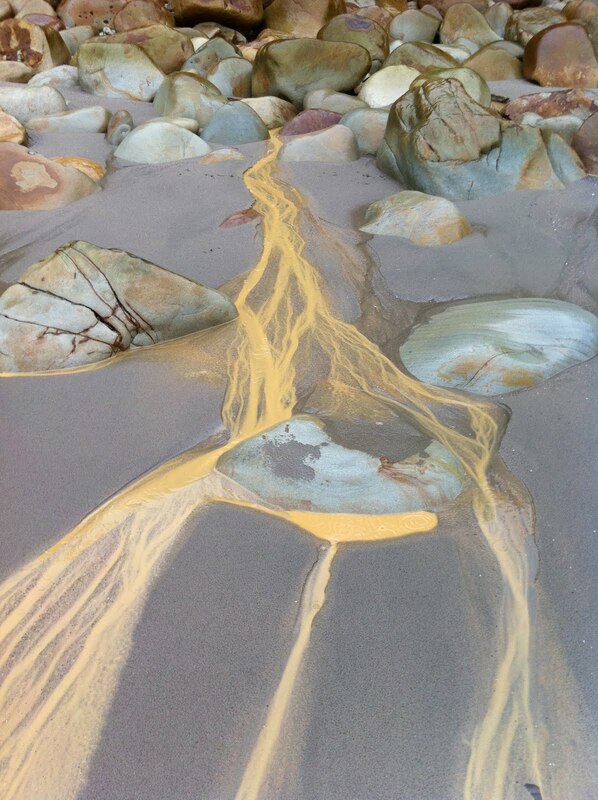 The clay of the bluff was melting from the rain and forming fantastic, high-contrast patterns in the sand. It was a natural art show!